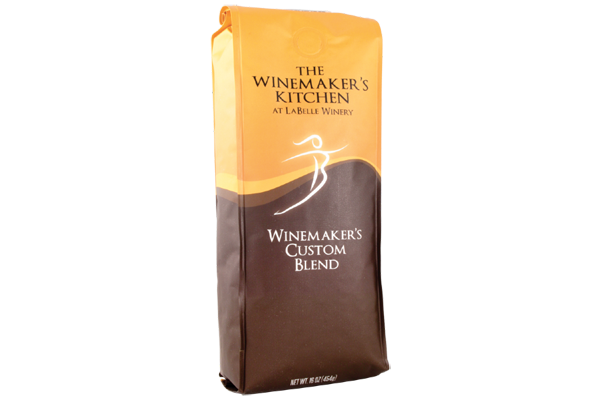 Having established a portfolio of drinking wines, LaBelle Winery sought to expand into culinary products. 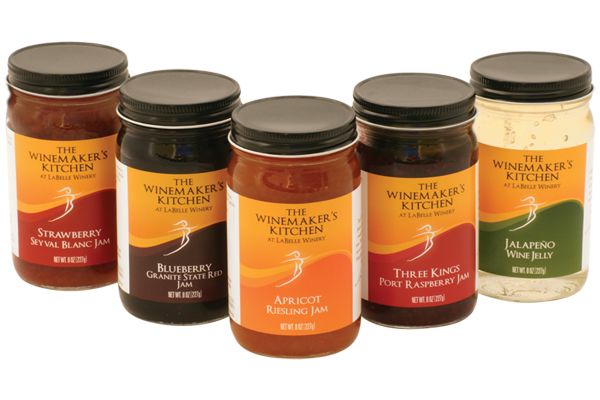 They began, quite logically, with cooking wines, but soon added jams & jellies that included their wine. 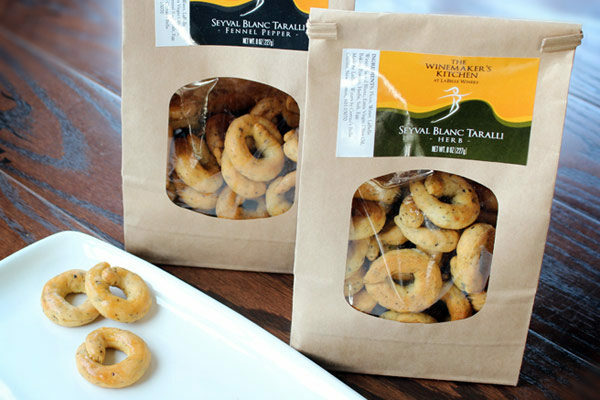 Coffee, honey (produced by bees that reside on property), spice blends and herb rubs, taralli crackers and vanilla extract quickly followed. 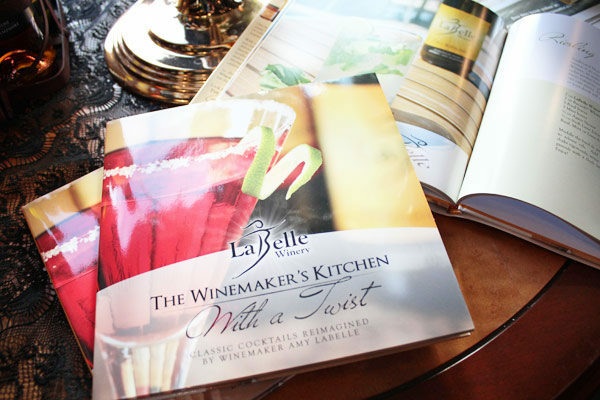 Their popularity of using LaBelle Winery wine in mixed drinks led to the creation of a hardcover recipe book, With a Twist. 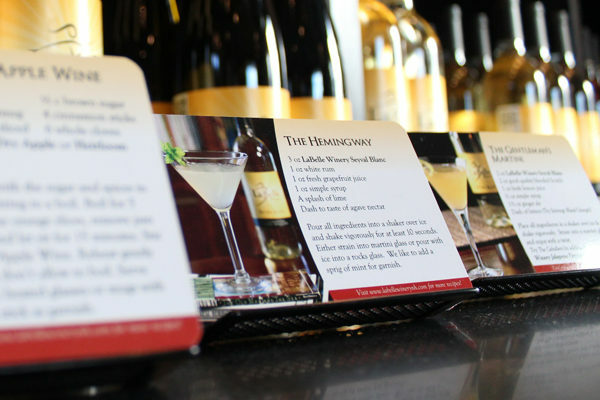 The most important task was developing a logo that could stand on its own, but spoke a visual language that was familiar to the existing LaBelle Winery brand. 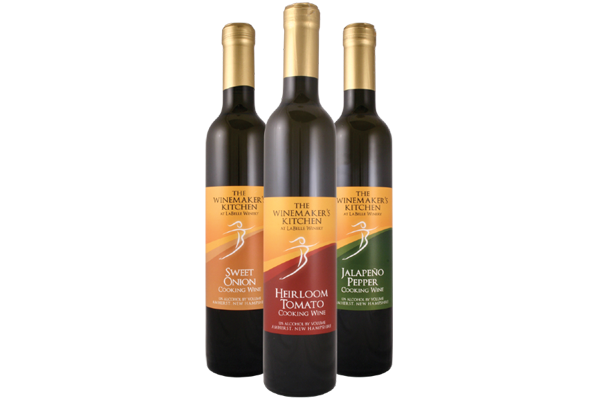 Further, the logo had to be versatile enough to encompass everything that The Winemaker’s Kitchen offers. 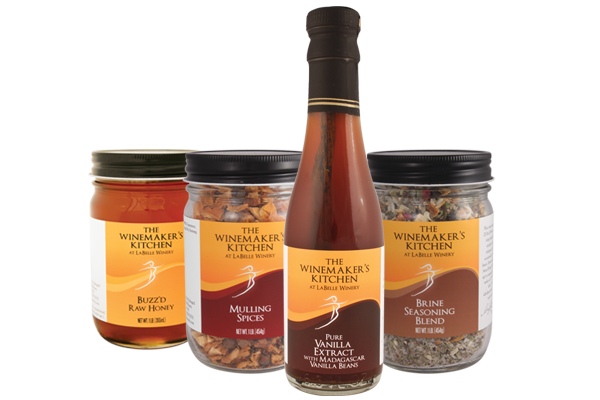 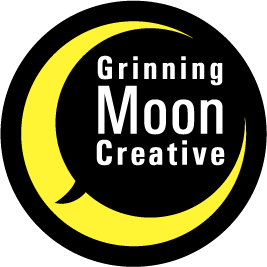 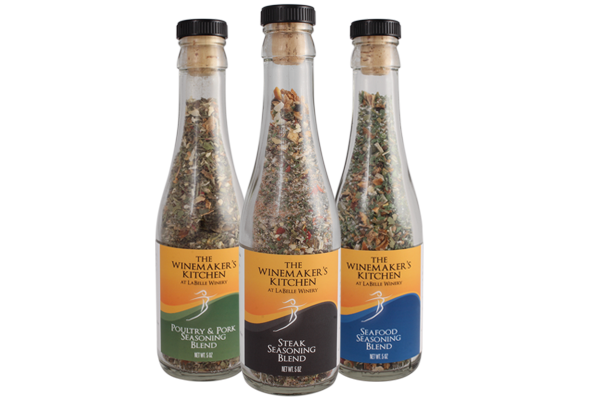 After the logo for this new venture was settled, each group of products required distinct packaging/printing solutions, and different vendors to produce each. 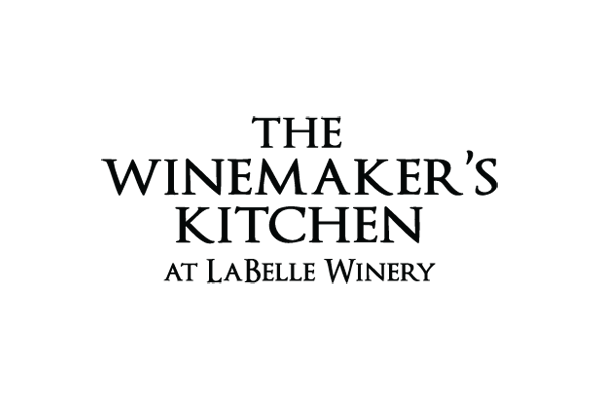 This required careful watch over color reproduction, to ensure the consistency of the new brand.